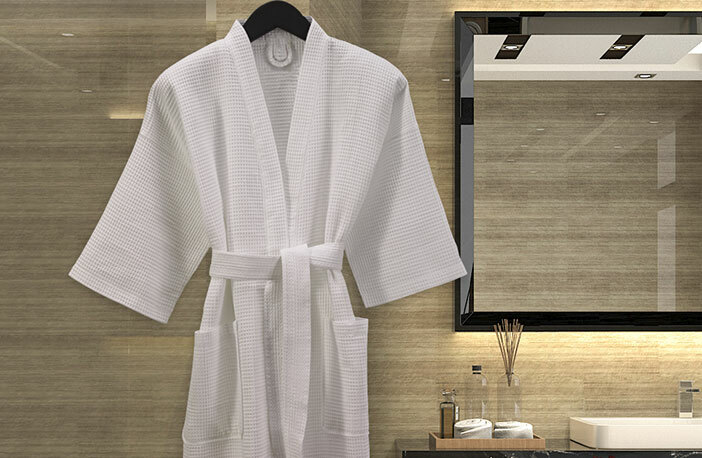 You’ll feel like you’re on vacation every day of the week once you slip into the Courtyard Waffle Kimono Robe. 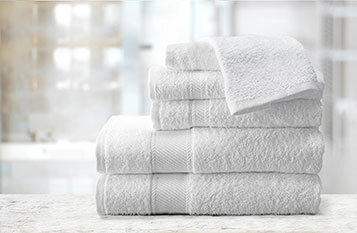 The luxurious cotton blend is light yet warm against your skin, making it perfect for post-bath relaxation. 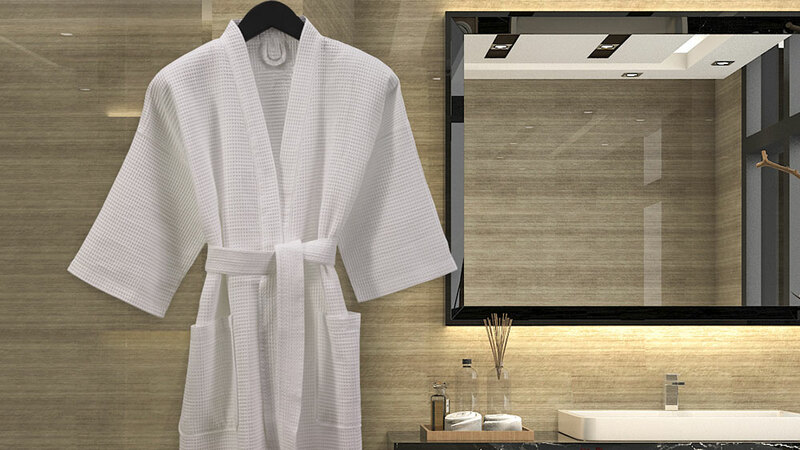 A self-tie belt keeps the robe secure, and the 3/4 length kimono-style sleeves fit comfortably without restricting your movements. 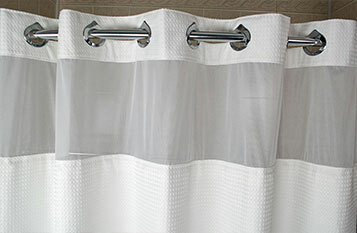 Our robe also features two patch pockets for added convenience. 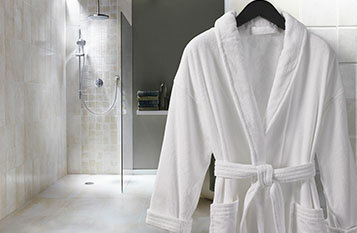 Wear this robe every night to experience Courtyard quality in your own home.